Our office staff works very hard to keep students’ records absolutely current. This can only be accomplished with your help. It is essential that we have accurate, up-to-date information available on your child’s information card in order to contact you in the event of an emergency. Please notify the class mentor or the office for any change in your address, home or work phone numbers. Make sure that you give us alternative emergency contact numbers. The office telephone is for school business and emergency calls only. We make every effort to limit students’ use of the school phone and we request your co-operation in this matter. Parents are encouraged to share special after-school instructions with their child before they leave for school in the morning. Interruptions are a disruptive experience for teachers and disturb classroom instruction. Hence, a message that needs to get to a student during the school day may be left at the Front Office and given to the mentor at recess or lunchtime, unless it is an emergency. Students are discouraged from using the school phone to retrieve library books, musical instruments or any other personal belongings. Remember to carry what they would need during the day when they leave home in the morning will inculcate the habit of planning for the school day ahead. It will increase student’s sense of personal responsibility and make them accountable for their actions. Arrangements for going to a friend’s house directly after school must be made before children leave home in the morning. However, the class teacher must be informed about this. It is necessary to send a signed note with your child granting him/her permission to go home with someone else. If the child will be riding home on the bus with a friend, a note also needs to be given to the bus driver. We strongly encourage families to schedule vacations and trips during school holidays. It is very difficult, if not impossible, to make-up for work missed during an extended absence. Classroom experiences include direct instruction, group activities, and application of new learning through practice. When these activities are missed, it is impossible to recreate them. For safety reasons, the N H Goel World School staff must know the whereabouts of all visitors to the school, at all times. All visitors are required to check in at the front office. Visitors will be issued a visitor’s pass, which they are required to wear while on the school premises. 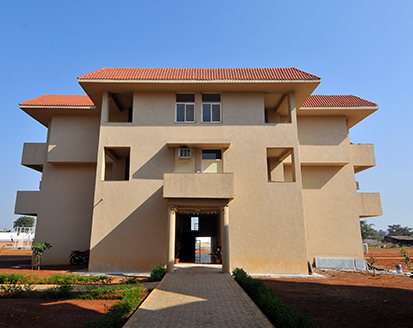 The N H Goel World School has taken full advantage of computers and internet connectivity to bring diverse and unique resources from across the world into the resource rooms. This connected intelligence is used to improve communication, and inspire innovation and excellence in education. NHGWS has taken measures to prevent access to materials that are inappropriate in a school setting and may not have educational value. Students arriving late to class cause disruptive interruptions to the learning process. A late arrival is unsettling for your child and is disturbing for other children in the class. If you know that, your child will be late to school for some reason, please inform at the office reception. If a student needs to leave school during the regular school day we need to have a signed note from the parent or guardian letting the front office staff and the class mentor know when the student needs to leave, who will pick him/her up, and the purpose of the short leave. A parent or guardian must contact the school office when picking up and dropping off a student. The permission slip duly filled in should be handed over to the front office staff. They will call the student from class and have him/her come to the front office. Children may not be picked up directly from the classroom or playground. To ensure a student’s safety, if anyone other than a parent or guardian attempts to pick up a child, the parent or guardian will be called immediately. 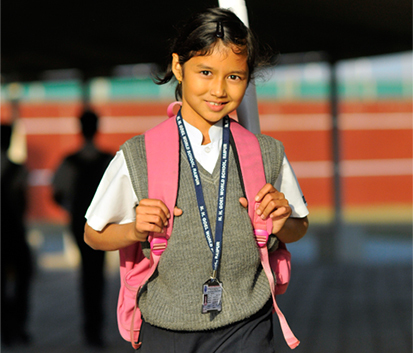 It is compulsory for students to wear the prescribed school uniform. Well trimmed hair, well ironed clothes and clean shoes ensure a smart and well-groomed turnout. School rules require students to attend school regularly and ensure that they are punctual for classes and other activities. The attendance record becomes a part of the student’s permanent file. To ensure the student’s safety, a call or note from a parent or guardian is required whenever a child is absent. The computer facilities and internet access are to be used for the benefit of the entire school and school community. It is therefore imperative that students learn to respect the norms and guidelines set for responsible and disciplined use of the school’s computer systems and internet facilities. In order to continue to make the computer network and internet access available, all users must take responsibility for appropriate and lawful use of the resources they access. 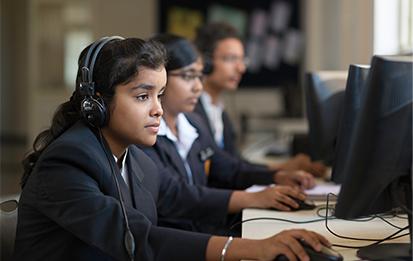 Students, faculty and staff utilizing the internet access provided by the school are responsible for cultured on-line behaviour. While computer teachers and other staff will make reasonable efforts to supervise use of the computer network and internet access, co-operation of students is imperative to ensure responsible use. When a student leaves the NHGWS Campus for an organized, school sponsored activity or outings, it is considered a ‘field trip’. These activities are designed to expand learning opportunities by exposing students to a larger milieu. Permission from the parent/guardian is required for all field trips and outings organized by the school for students. Students, faculty and staff utilizing the internet access provided by the school are responsible for cultured on-line behaviour. While computer teachers and other staff will make reasonable efforts to supervise use of the computer network and internet access, co-operation of students is imperative to ensure responsible use. We strongly encourage parents not to let their children wear or bring valuable jewellery, clothes, and other personal belongings to school because there is always the possibility that these things could get lost or damaged. Money is not to be brought to school. However, if required for a specific purpose, the money must be deposited with the mentor in-charge during the morning assembly to avoid theft or loss. Personal items such as sports equipment, toys, electronic games, card collections, cameras, radios, portable CD players, I-pods headphones, and other such items should not be brought to school. Parents are requested to sign the diary acknowledging the circulars issued by the school from time to time. Any information that you want to pass on to the mentors or the school administration make use of the pages meant for communication in the student’s diary. Always check the students' diary and sign if required.